Jamwix announced that its critically acclaimed game, “CineMagic: Hollywood Madness,” is now available for Android and iOS platforms. Now Android and iOS players around the world can experience the cinematic glory of the most epic puzzle game ever imagined. "CineMagic: Hollywood Madness" is a genre-busting free puzzle-card game that puts players right in the director’s seat to imagine their own movies. Set inside the twisted world of cinema, players create their own cinematic smash ups using a massive collection of tongue-in-cheek movie stars, titles and scenarios. Their goal is to conjure up the most ridiculous, box office crushing movies possible. Players can even upload and share their wild creations online. “CineMagic” can be found on Google Play, and Apple’s App store. · CREATE the craziest movies that the world has ever seen! · COLLECT more than 400 ridiculous movie stars, classic characters, iconic locations and clichéd plots to pack into your film! · CHALLENGE an endless wave of absurd movie sequels, inane prequels, silly reboots, and pointless remakes as the unimaginative zombie horde of Hollywood threatens to destroy the world of cinema! · PLAY as the most challenging and rare role in Hollywood – a young female director! Jamwix is a new digital creation studio formed on building powerful, engaging, and innovative experiences for everyone. The founders are old college friends from Carnegie Mellon University, who've collaborated and worked together on creative entertainment and game projects for over a decade and a half. We specialize in innovative experiences, next generation entertainment, and virtual world creations. For more information, visit jamwix.com. WGN AMERICA PARTNERS WITH THE BLACKHOUSE FOUNDATION DURING THE 2016 SUNDANCE FILM FESTIVAL, IN CELEBRATION OF "UNDERGROUND"
WGN America announced today a first-time collaboration with The Blackhouse Foundation, an Institute Associate of the Sundance Film Festival, to present “The Making of WGN America’s ‘Underground,’” on Saturday, January 23 at 7:00 p.m. in Park City, Utah. Scheduled to take place at Blackhouse’s Sundance headquarters located at the Buona Vita Restaurant, 804 Main Street, Park City, the exclusive “clips and conversation” panel event will feature “Underground” executive producer John Legend, along with the cast and creative team from the hotly anticipated escape thriller set to premiere Wednesday, March 9 (10:00 p.m. ET/PT) on WGN America. Following the panel, WGN America and John Legend will host an “Underground” party, featuring the series’ stars and producers, at David Beavis Gallery, 314 Main St., Park City. An exploration of a pulse-pounding journey about the revolutionaries of the Underground Railroad, the series' cast and creators will delve into the inspiration and strategy behind the development and production of the cable network's latest original. Featured on “The Making of WGN America’s Underground” panel are: executive producer John Legend, creators and executive producers Misha Green and Joe Pokaski, executive producers Akiva Goldsman, Tory Tunnell and Mike Jackson and executive producer and director of the first four episodes, Anthony Hemingway. Joining the executive producers are stars Jurnee Smollett-Bell (“True Blood,” “Friday Night Lights”), Aldis Hodge (“Straight Outta Compton”), Jessica de Gouw (“Arrow,” “Dracula”), and Alano Miller (“Jane The Virgin”), with Blackhouse Foundation chairman Brickson Diamond serving as moderator. "Independent spirit is at the heart of both 'Underground' and the Sundance Film Festival, and we are thrilled to be partnering with Blackhouse to bring the dynamic world of ‘Underground’ and the artists who created it together with the festival community which supports provocative, authentic voices," said Matt Cherniss, President and General Manager, WGN America and Tribune Studios. "WGN America's ‘Underground’ is the perfect realization of the dream of Blackhouse - expanding distribution platforms to create opportunities for a new generation of storytellers to reflect our histories and lives in ways the entertainment industry didn't even think was possible,” said Diamond. “Underground” follows a group of courageous men and women who use their ingenuity, power and perseverance to attempt the greatest escape in history and break free, despite the dire consequences that awaited them on the other side. The story follows a courageous blacksmith Noah (Aldis Hodge) who covertly organizes a small group of his fellow slaves and pieces together a daring plan of escape across hundreds of miles to freedom. The odds of success are razor-thin for those who make it off the plantation, while the risks, dangers and obstacles multiply each step of the way. 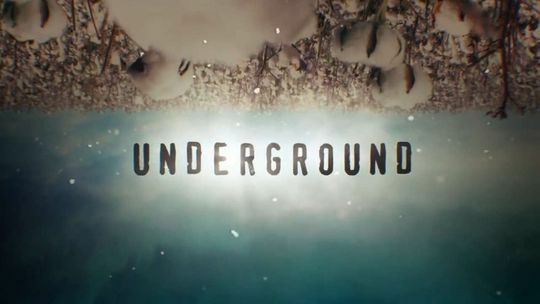 “Underground” is created by Misha Green ("Sons Of Anarchy," "Heroes") and Joe Pokaski (“Daredevil,” "Heroes,") who executive produce alongside Academy Award-winner Akiva Goldsman ("A Beautiful Mind," "I Am Legend") of Weed Road Pictures; and Joby Harold ("King Arthur," "Edge of Tomorrow") and Tory Tunnell ("King Arthur," "Holy Rollers") of Safehouse Pictures. Visionary artist and producer John Legend, an Academy Award, Golden Globe® and multi-Grammy Award winner, and his Get Lifted partners Mike Jacksonand Ty Stiklorius executive produce. Additionally, Get Lifted oversees all elements of the show’s music. Anthony Hemingway (“The Wire,” “Treme”) directs and serves as executive producer for the first four episodes. Since its inception The Blackhouse® Foundation has worked to expand opportunities for Black filmmakers by providing a physical gathering venue for their constituents at the world’s most prominent film festivals, encouraging their inclusion of black filmmakers with films selected by the festival and creating a nucleus for continuing support, community, education and knowledge. Fate leads to a life-or-death stand-off for it, made worse by the arrival of a rifle-toting stranger by the name of Edson Laramie. Who will leave the Wasteland alive? Starring DJ Perry (Bestseller, Judges), Nicholas X. Parsons (Pain & Gain), David Gries (America's Most Haunted), and Damian Maffei (Christmas with the Dead), this short film lays the foundations for the gritty, violent world to be presented in "Tales from the Desert". Shot last December in Valley of Fire State Park in Nevada, the film combines the stylized intensity of spaghetti Westerns with brutal science-fiction dystopias. "I'm extremely happy with how the film turned out, and I can't wait for people to see it. We really wanted to build an interesting and dynamic Sci-Fi world, and I think WASTELAND has set us on the right path." -Kevin Buchholz, Writer/Director of WASTELAND. The film also features music from Chicago-based doom metal band BONGRIPPER (http://www.bongripper.com/) and synth-wave artist PROTECTOR 101 (https://protector101.bandcamp.com/). Dressed in Sugar Productions, LLC., announced today that Neurosurgeon and New York Times Best Selling Author, Dr. Eben Alexander, will speak live on topics which are the subject of the upcoming feature film, Dressed in Sugar. He will speak about the afterlife, the scientific investigation behind it and the discovery of his visit to heaven, as described in his bestselling books, Proof of Heaven: Neurosurgeon’s Journey into the Afterlifeand The Map of Heaven: How Science, Religion and Ordinary People Are Proving the Afterlife. Dr. Alexander spent over 25 years as an academic neurosurgeon, after decades as a physician and teacher at Harvard Medical School and elsewhere. He thought he knew how the brain, mind, and consciousness worked, but a transcendental Near-Death Experience (NDE) during a week-long coma from an inexplicable brain infection changed all of that completely. Dr. Alexander has spent the seven years since his NDE reconciling his rich spiritual experience with contemporary physics and cosmology. He discovered that by probing deep into our own consciousness, we transcend the limits of the human brain and the physical-material realm. A pioneering scientist and thoughtful leader in consciousness studies, Dr. Alexander has been a guest on Dr. Oz, Oprah, and many other national and international media programs. His books have collectively spent more than two years atop the New York Times and international bestseller lists. Dressed in Sugar is an upcoming feature length film that will tell the story of a new best-selling author Azul, who travels to Mexico due to a mysterious call from her mother, just to find out she wants Azul to plan her funeral before the Day of the Dead. The protagonist of Dressed in Sugar will face the same difficult questions Dr. Alexander once faced regarding the afterlife throughout her journey. In addition, the film will spotlight the popular Mexican holiday of the Day of the Dead and touch on the topics of life and death. The film will be directed by Krisstian de Lara, produced by Yovanka Sanchez and photographed by Ricardo Valdez. Join the live stream over at Dressed in Sugar’s Youtube Channel on Thursday, December 10th, 2015 at 8 PM EST to hear Dr. Alexander speak about the afterlife. In addition, he will interact with, and answer questions from, the public on YouTube and on Twitter using the hashtag #AskDressedinSugar. For additional information, please contact Dressed in Sugar Productions, LLC., at 786-529-5627 or email at mediarelations@kn2s.com. About Dressed in Sugar Productions, LLC. Dressed in Sugar Productions, LLC., is a production company based in Miami, that will produce the feature length film entitled Dressed in Sugar. The film will tell the story about a best selling author Azul, who travels to Mexico due to a mysterious call from her mother, just to find out she wants Azul to plan her funeral before the Day of the Dead. The film will be directed by Krisstian de Lara, produced by Yovanka Sanchez, co-produced by Marco Valdez, associated produced by Victor Mares and photographed by Ricardo Valdez. Dressed in Sugar is expected to go into principal photography in March of 2016 and hit theaters in the United States at the end of the same year. Former U. S. Army Chaplain and Writer/Producer/Director Justin D. Roberts will be presented the Santini Patriot Spirit Award at the 10th Annual Beaufort International Film Festival being held February 10 - 14, 2016 in Beaufort, SC. The award will be presented for his film "No Greater Love", during the festival awards ceremony on Saturday, February 13. The "Santini" is awarded to that filmmaker whose portrayal of the American active duty military, veterans, or their families in a feature film, documentary, or short reflects the highest standards of service and sacrifice for the good of others. The award is named after Marine Corps Colonel Donald "The Great Santini" Conroy, father of Academy Award® nominated screenwriter and best-selling author Pat Conroy. Justin graduated from the Dallas Theological Seminary with a Masters in Biblical Studies and a Masters in Media Arts and Communication. For his tour in Afghanistan that is featured in No Greater Love, he was awarded the Bronze Star and the Army Commendation Medal for Valor. He also served as the Co­-Executive Producer for The Hornet’s Nest, another military documentary, and his footage has been featured in an Emmy Award winning Nightline Memorial Day Special. He now resides with his family in Lake Charles, Louisiana. More about the film at http://www.nglfilm.com.